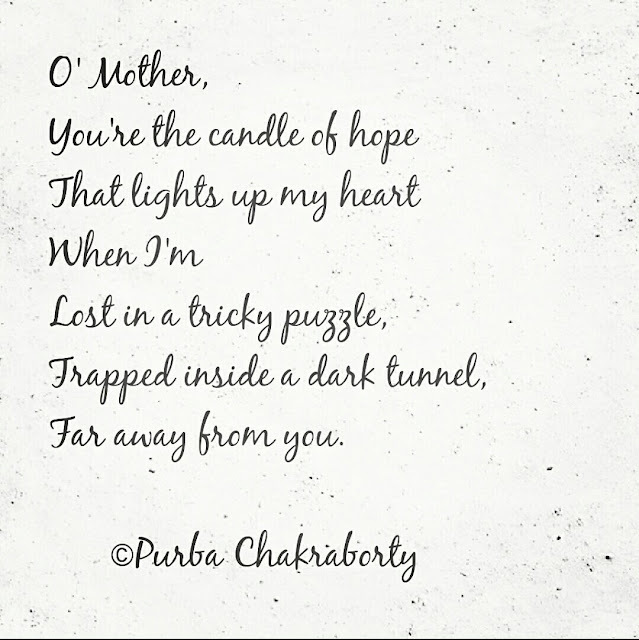 This Tuesday, the word prompt in Twitter Poetrython was Mother/Maa as it was the Mother's Day week. 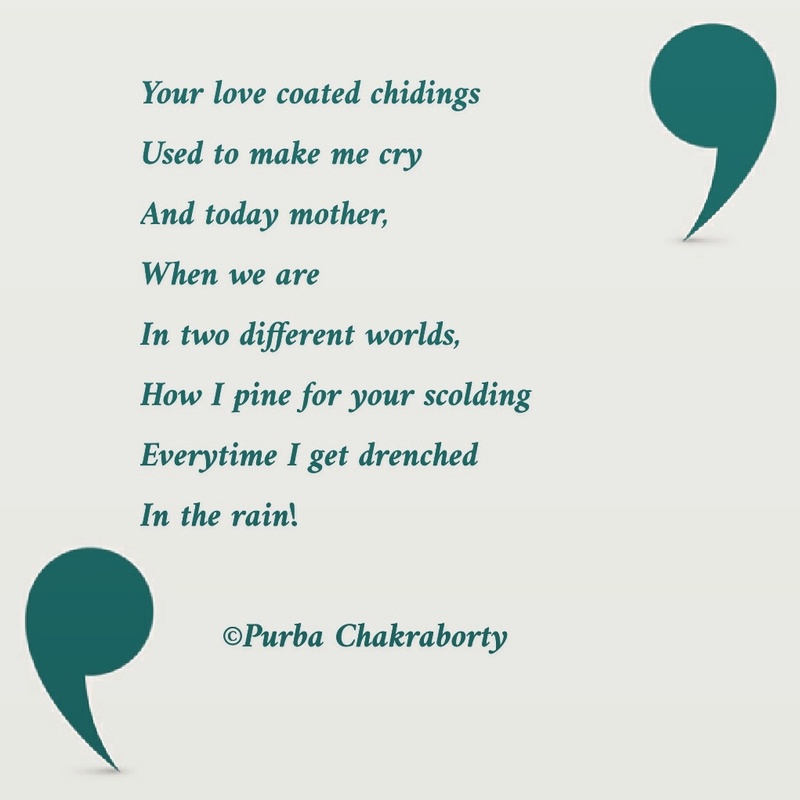 In Twitter Poetrython, the poets are given a word prompt and they need to instantly write poems surrounding that word within 9-10 pm every Tuesday. 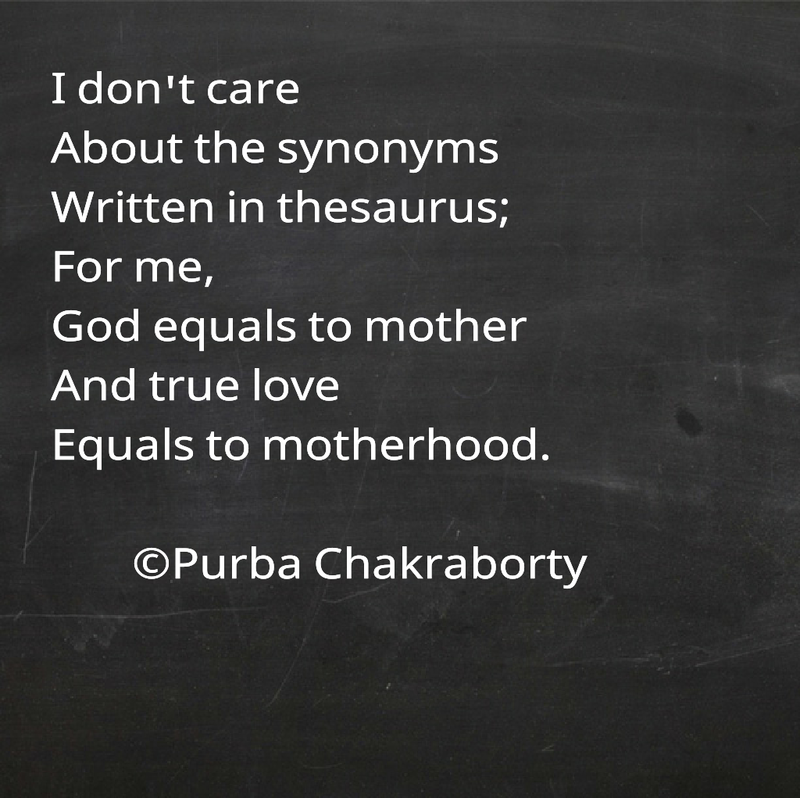 Out of the half a dozen verses that I wrote on mother in twitter, I am sharing a few of them. So well you have written. Well written. Especially the 2nd one. Beautiful and profound. loved them. This is such a beautiful post. Each piece is more moving than other. Hey! If you like this post or have anything to tell, please go ahead. Like reading my posts? Then why don't you subscribe? It will just take a minute. Buy my poetry book here! Buy my 2nd novel here! Show some love to my Facebook page! Enjoy motherhood with The Little Shopper! I believe in magic because of my bestie! 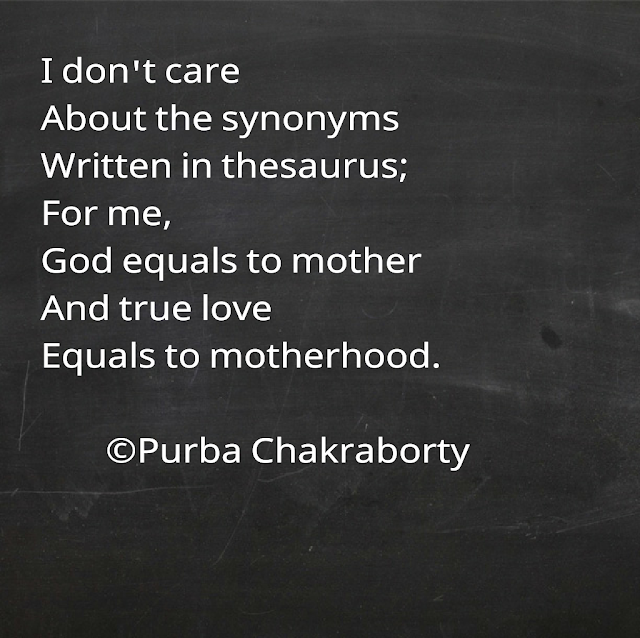 © Purba Chakraborty 2014 - 2017 Love, Laugh and Reflect- All rights reserved. Picture Window theme. Powered by Blogger.